MCCLAREN got punters off to a dream start at Randwick on Saturday when the Snowden Racing colt lived up to his trials and market support with a strong debut win. The Joseph & Jones Racing team tasted success in the TAB Highway Handicap teaming up with Tom Marquand who rode exciting mare EMBEZZLEMENT to a strong win. John Thompson put the polish in THY KINGDOM COME who went on to make it two wins in just over a month. Jason Warren's dream run with talented gelding ANTAH continued at Caulfield when making it three straight wins and a milestone city winner for jockey Jason Maskiel. 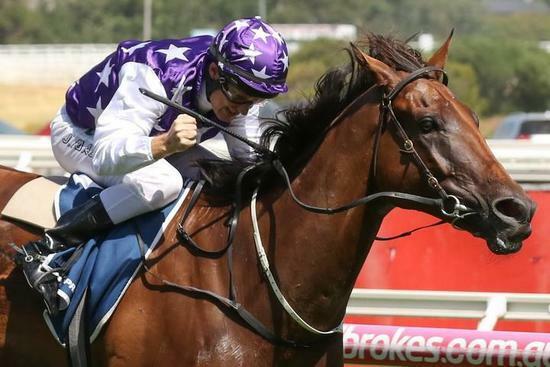 The horse is now a winner of his last five starts and undefeated in Victoria. Our friends at Ken King Thoroughbreds has a landmark day when BONS AWAY upset Written By in the feature WJ Adams Stakes courtesy of a gun Linda Meech ride. Mick Price left his home track happy in the last after HEPTAGON saluted in style. MEET MR TAYLOR has all of Queensland talking after making it five wins from five starts with a dominant all the way Eagle Farm victory for the Kelly Schweida team. It didnÂt stop there after Baylee Nothdurft rode BLUEBROOK to the narrowest of wins later in the day. DIVINE DICE continues to be a great money spinner for connections and took earnings past $257,350 after his eighth victory. SKATE TO PARIS is having a great campaign and once again showed her lethal finish for another win this preparation for Munce Racing. The Pearce brothers had a great day out at Belmont on Sunday highlighted by ANGELIC RULER kept up her excellent record of five wins from eight starts in the Rangeview Stud Classic. That win came on the back of another odd-son favourite FRIAR'S FANTASIA getting the job done and Harvey Racing trained THUNDERPLUMP also getting the cash. DALSAN provided an upset in the small field to start the day for Leon Macdonald and Andrew Gluyas while favourite backers bounced back when Jolly Racing prepared SCHILLDORA to score first-up from a spell. DREAMED provided Ryan Balfour with a winner and a strong debut performance coming from last.